The Hoover Institution in Washington, Hoover’s DC-based outreach arm, located blocks from the White House, is a major center of conference activity for the institution and highly regarded in Washington policy circles as a source of information and expertise. 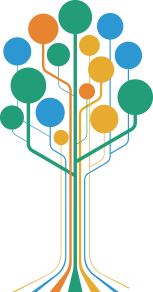 In the first six months of 2017 the office has arranged eight congressional testimonies by Hoover fellows, led seven Capitol Hill briefings, and hosted thirty public events with high-profile speakers including House majority leader Kevin McCarthy, Representative Luke Messer, and Representative and House Permanent Select Committee on Intelligence chair Devin Nunes. The audiences at the office’s near-daily events are largely composed of executive branch officials, Capitol Hill staffers, media, business and trade leaders, and researchers from universities and think tanks, demonstrating the excellent brand the office has built for Hoover inside the Beltway. 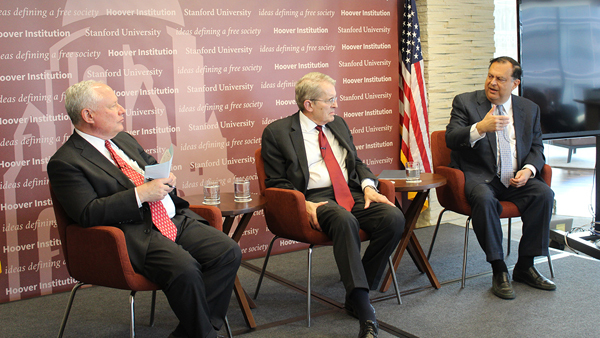 We’re pleased to share an update on three recent events highlighting the Hoover Institution in Washington’s work. On June 14, 2017, Ayaan Hirsi Ali, a research fellow at Hoover and author of the new Hoover Press book The Challenge of Dawa: Political Islam as Ideology and Movement and How to Counter It, testified before the Senate Committee on Homeland Security and Governmental Affairs on Ideology and Terror: Understanding the Tools, Tactics, and Techniques of Violent Extremism. 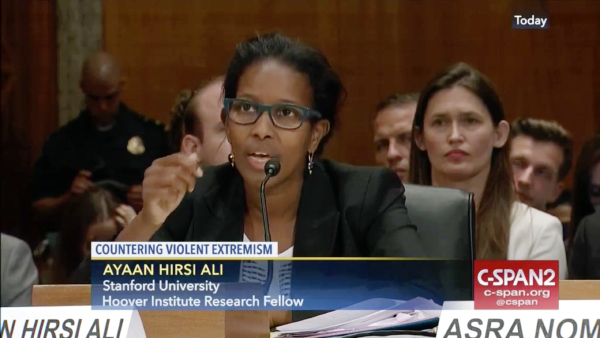 A congressional staffer, who connected with Hoover through the Stuart Family Congressional Fellowship Program, sought out Hirsi Ali to participate in the hearing after attending a talk at the DC office on The Challenge of Dawa. This congressional hearing—Hirsi Ali’s first—included committee chair Senator Ron Johnson, ranking member Senator Claire McCaskill, as well as Senators Steve Daines, Kamala Harris, Maggie Hassan, Heidi Heitkamp, and Gary Peters. Ayaan Hirsi Ali’s testimony was based on her new Hoover Institution Press book, The Challenge of Dawa: Political Islam as Ideology and Movement and How to Counter It. we are now seeing thousands and thousands of men and increasingly women who are prepared to use anything as a weapon—their cars, their lives, et cetera. . . . their minds and hearts are being turned away to the idea that you are doing god’s work, Allah’s work, to kill people, to maim, to repress, and to bring down societies. . . . I don’t think we should walk away from this afternoon when we are done with an idea that there’s no sense of urgency. . . . Between 2001 and today we have failed and we have failed miserably and it’s now time to correct our course. A complete recording of the hearing with transcripts is available through C-SPAN. Hirsi Ali has written two articles following the hearing, coauthored with Asra Q. Nomani, who also spoke that day. Both articles ran in the New York Times. 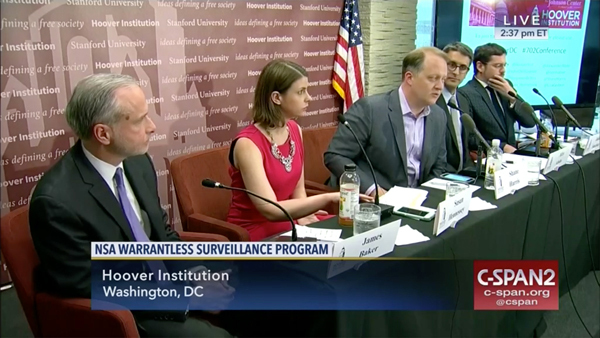 On June 1 Hoover hosted a panel on Section 702 of the Foreign Intelligence Surveillance Act (FISA), the provision in the FISA Amendments Act of 2008 allowing mass, warrantless collections of communications by non-US citizens outside the country, including the controversial PRISM and Upstream surveillance programs. President Obama signed a five-year extension of the amendments shortly before they were set to sunset at the end of 2012. With a new day of reckoning for the law approaching, the debate surrounding mass government surveillance has renewed importance for the future of US national security policy. This event brought a diverse range of viewpoints together to explore the issue. Benjamin Wittes, senior fellow at the Brookings Institution and cochair of Hoover’s Working Group on National Security, Technology, and Law, interviewed the former director of the National Counterterrorism Center under President Obama and former NSA general counsel Matt Olsen. Elizabeth Goitein, codirector of the Liberty and National Security Program at NYU’s Brennan Center for Justice and former counsel to Senator Russ Feingold, gave the keynote speech. Wall Street Journal senior correspondent Shane Harris led a panel discussion that included Susan Hennessey, a fellow at Brookings and managing editor of the Lawfare blog (cofounded by Hoover senior fellow Jack Goldsmith); Alex Abdo, senior staff attorney at Columbia University’s Knight First Amendment Institute; Cato Institute senior fellow Julian Sanchez; and FBI general counsel James Baker. Left to right: FBI general counsel James Baker, Brookings Institution fellow and Lawfare managing editor Susan Hennessey, panel moderator and Wall Street Journal senior correspondent Shane Harris, Knight First Amendment Institute senior staff attorney Alex Abdo, and Cato Institute senior fellow Julian Sanchez. Capitol Hill staff and other government officials directly involved in this issue made up nearly fifty percent of the event’s audience. The event also aired on C-SPAN and archived recordings of the event can be found on the network’s website. Bernie Sanders’s viable challenge to Hillary Clinton in the 2016 Democratic primaries, as well as Donald Trump’s successful clinching of the Republican nomination and then the presidency, shocked pollsters and raised questions about the future of the United States’ two-party system. Hoover fellows have produced some of the most insightful research on the changing electoral climate in the United States—Senior Fellow Morris P. Fiorina’s Essays on Contemporary American Politics series is a fascinating place to start. 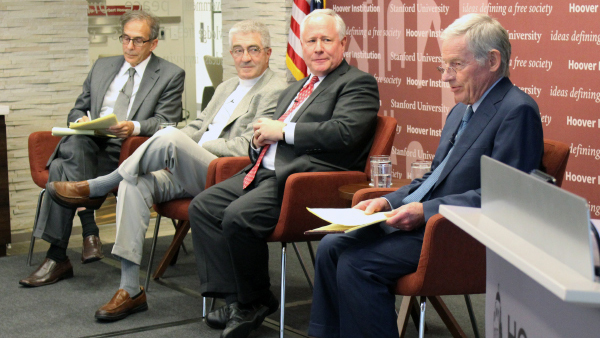 To further explore the issues behind America’s uncertain electoral future, the Hoover Institution in Washington partnered with the Foundation for Constitutional Government to host the June 19 event Political Parties in America: Trends and Truths in the Trump Era. Weekly Standard editor at large Bill Kristol moderated three panels, starting with a discussion of the state of the Republican Party featuring Spencer Abraham, former US senator and secretary of energy from 2001 to 2005 under George W. Bush, and Jeff Bell, political strategist and policy director at the American Principles Project. Turning to the Democratic Party, Kristol moderated a conversation featuring political strategist and former counselor to President Clinton Doug Sosnik and Neera Tanden, president and CEO of the Center for American Progress and the Center for American Progress Action Fund. Spencer Abraham, shown here speaking during a panel on the Republican party, served as the tenth secretary of energy under President George W. Bush. Seated to Abraham’s right is American Principles Project policy director Jeff Bell and Weekly Standard editor at large Bill Kristol. The final panel, titled Party and Faction, in Principle and Practice, featured three of Hoover’s preeminent political scientists: Senior Fellow and Stanford political science professor Morris P. Fiorina, Senior Fellow and Professor of Politics at the University of Virginia James Ceaser, and Senior Fellow and Harvard government professor Harvey Mansfield. “The event attracted a large audience, which reflects the fact that we are living in a political moment when both the Republican and Democratic Parties seem to be undergoing significant changes,” said Adam White, a Hoover research fellow and co-organizer of the event. A recording of the event is available at Hoover.org.